Popular children’s stories are charmingly paired with well-known classical music, arranged for string quartet, and narrated by KING-FM’s Marta Zekan. Works include Ferdinand the Bull with Bizet’s Carmen, tales from the Arabian Nights with Rimsky-Korsakov’s Scheherazade, Custard the Cowardly Dragon paired with Mozart’s Symphony no. 25, and more! Ideal for children ages 5-10 and their families. 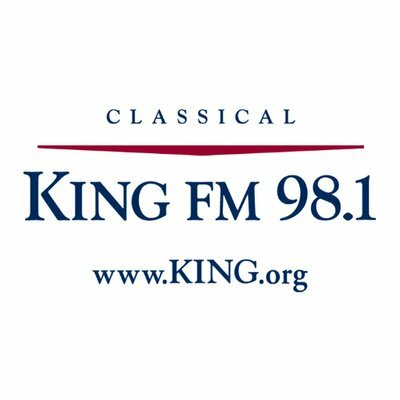 Join us in the lobby beginning at 10am before each Family Concert for our Musical Instrument “Petting Zoo” provided courtesy of Classical KING-FM 98.1. This is the perfect way to hear and play a variety of instruments! The Winter Festival includes 6 concerts and 6 free Pre-Concert Recitals, as well as family events and other free programs. Enjoy world class performances at the acoustically superb Recital Hall at Benaroya Hall.